We empower poor and marginalized individuals to lead the changes that they would like to see in their own communities -- whether greater access to justice for the poor, pro-poor urban governance and policy, or community-led in-situ upgrading and development. We bring technical expertise in law, advocacy, urban planning, creative media, and community organizing to inform, strengthen and support the Nigerian Slum / Informal Settlement Federation-led efforts to solve justice and development problems. 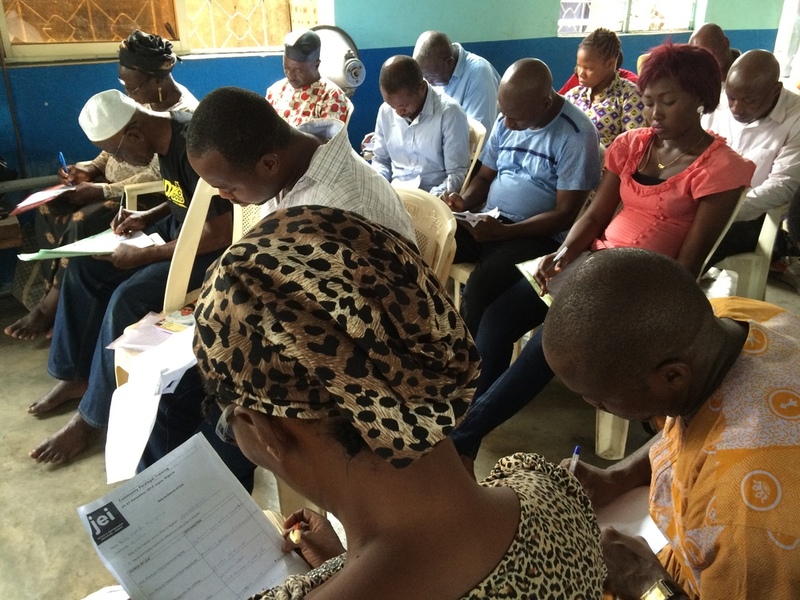 To do this, we train and support a network of community-based paralegals in urban poor communities in Nigerian cities. We support movement-building and inter-community solidarity among urban poor and other marginalized communities through exchanges and collective forums. Together with the Nigerian Federation we undertake strategic advocacy and litigation to backstop the work of the community paralegals and open spaces for the urban poor to lead the changes they want to see in their cities. What is the Nigerian Slum / Informal Settlement Federation? The Federation is a grassroots movement of the urban poor, that organizes around community-level savings groups and community-led profiling and enumeration to generate data for policy advocacy and planning for community development and slum upgrading. #SavetheWaterfronts. Following on the Lagos Federation's letter demanding the retraction of the Lagos State Government's 9 October 2016 purported 7-days' eviction notice to all waterfront communities across the state, the Federation with dozens of threatened communities are staging a series of peaceful protests. Photos from protests available for download via Flikr. Lagos federation protests threatened eviction of dozens of waterfronts in Lagos. On day 1 of protests, 13 October 2016, protesters lie in the street to demonstrate how the threatened evictions will cause loss of lives, shelter, and livelihoods. One sign reads "destroy one slum, another springs up. #oururbanagenda." On 7 November 2016, a Lagos State High Court judge issued an injunction restraining demolition of waterfronts or eviction of residents or any other steps to take action on the Governor's 9 October 2016 threat. Despite this order, on 9 November 2016, violent evictions by fire commenced in one waterfront, Otodo Gbame displacing over 30,000. On 15 November 2016 the now homeless evictees from Otodo Gbame and Ebute Ikate, joined by Federation members from waterfront settlements across the state and also from Port Harcourt, embarked on a peaceful protest demanding provision of emergency shelters, and an investigation into the police who lit their structures on fire to drive them out. Photos of the protest available for download via Flickr, press release available here. On 26 January 2017, a Lagos State High Court Judge ruled that the waterfront evictions are cruel, inhuman and degrading treatment. The court has ordered for the parties to attempt mediation and report back in one month. See a copy of this landmark ruling and a joint JEI/Federation press release here. Despite the subsisting court order, the Lagos State Government brutally and unlawfully resumed demolition of remaining homes in Otodo Gbame on 17 and 21 March and (see press statement) then again on 9 April 2017, which included the beating of dozens of residents, the arrest of 8 residents, and shooting of 2 residents, one of which died shortly thereafter. Photos and videos of forced evictions and demolitions available for download via Flickr. After failing to appear in court and put up any defense to the evidence of blatant violation of the court orders against demolition, on 12 April 2017 Justice Onigbanjo delivered his ruling on the contempt proceeding, finding the actions of Governor Ambode to undermine the principles of constitutional democracy and rule of law. See a copy of this ruling and a joint JEI/Federation press release here. Waterfront residents crowd outside the lagos state high court to hear the judge's ruling on 26 January 2017. World Bank Safeguard Policies. Residents of Lagos slums negatively impacted by World Bank-financed projects join together to make their voices heard in the consultation process to review the World Bank Environmental & Social Framework (ESF) (a.k.a. the Safeguard Policies). Badia evictees still homeless nearly 2 years after the forced eviction of 18, 19, 22 September 2015 and facing new threat of eviction from their temporary shelters. See videos below and press release for more information.